Volunteers are a vital part of the “hands and feet on the ground” type of work that is required to care for conserved land. It’s a never-ending job, but the rewards are enormous. Thank you to all who have spent time helping us do what we do. We appreciate you! July 2018 Habitat Works volunteer, Tom Persons, talks about the relationship of dwarf mistletoe with gray pine trees. July 2018 Habitat Works volunteers help locate and collect seed for a restoration project in Portal Ridge. 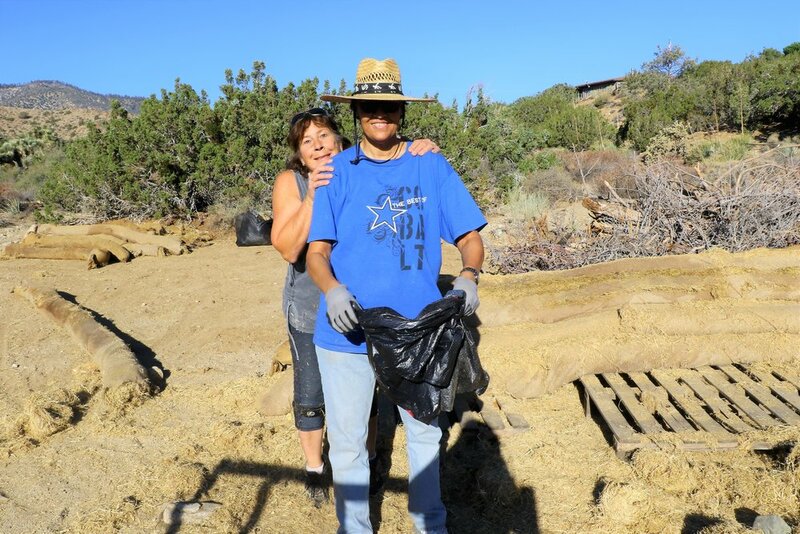 August 2018 Sue Harris and Angie Prudhomme taking a break from salvaging erosion wattles for use in Portal Ridge and Puma canyon project areas. August 2018 Larry Frank assesses wattles and loads them into the trailer. August 2018 Sharon Figula helps salvage the good parts of these erosion wattles that were donated to us. 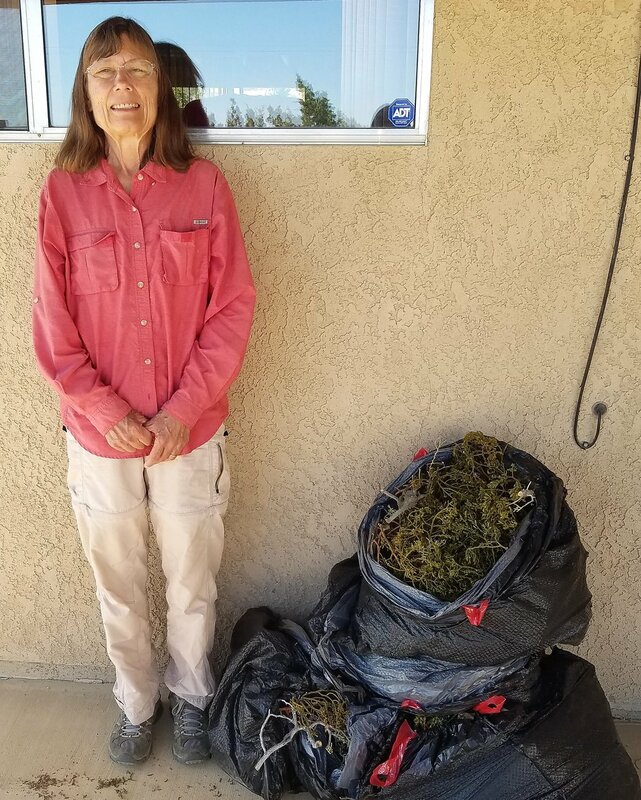 Summer 2018 Kate Allen helps out once or twice a week to trim mistletoe from drought stressed junipers in the Puma Canyon Ecological Reserve.